Summary: How to downgrade iOS or how to undo an update on iPhone? Here in this article you are offered the detailed guide to downgrade from iOS 12 beta to iOS 11 without losing data. Read on to get more information. At the end of WWDC 2018, Apple officially released the new generation of iOS 12 operating system, which is a beta version and available for Apple developers. Although the new iOS 12 brings many new features, there are many bugs according to users' feedbacks, for example, applications flash back, some apps are not display, system crashes, etc.. Obviously, these bugs affect users' normal experience, making them regret to upgrade to iOS 12 beta. So how to uninstall iPhone update? This article brings you the most detailed tutorial to cancel iPhone update of iOS 12. Part 3. Lose Data After Downgrading from iOS 12 Beta to iOS 11? Comparing upgrading iOS, downgrading iOS is much more troublesome in operating steps. Similarly, there are something you need to know before you downgrade from iOS 12 to iOS 11. 1. Before downgrading iOS 12, it is highly recommended to back up your phone data in case of unexpected data lost. Since downgrading from iOS 12 to iOS 11 will erase everything on the device, please remember to make a full backup of your iPhone or iPad beforehand, thus you can easily get lost data back if the downgrade process fails. 2. Before updating to iOS 12 beta, it is quite important to create a backup in iTunes instead of iCloud, and then archive the backup. Otherwise, you won't be able to recover from the backups when you go back to the current iOS version. Because the iTunes backups should be compatible with iOS 11 before downgrading, and iOS 12 backups are not compatible with iOS 11 or earlier. > Launch the latest iTunes on your Mac and connect your iPhone or iPad with a USB cable. > Click "Summary" > "Back Up Now", and wait for the backup to complete. > Select "iTunes" > "Preferences" > "Devices" and look for a backup of your device. > Hold down the Ctrl key and click "Backup" button. > Choose the "Archive" option. This will create a secure backup that we can restore after updating to iOS 12. 3. 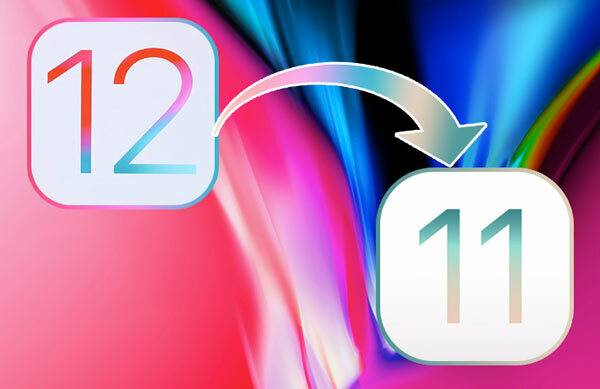 If you only have iOS 12 backups, downgrading to iOS 11 may require you to update to iOS 12 again to recover from iOS 12 backup. But no worries, you can also recover lost files from iTunes and iCloud backups after the downgrade process with some professional iOS data recovery tools. 4. Apple has not closed the verification channel for iOS 11.4/11.3.1 yet, if you find iOS 12 inconvenient, you can still downgrade to iOS 11.4 or iOS 11.3.1 with this user guide here. Once Apple closes the verification channel for these versions of the system, it will no longer be able to downgrade unless you jailbreak your device. So users who have upgraded to iOS 12 Developer Preview Beta 1 and want to get back to iOS 11 version, please keep a close eye on Apple's message to turn off the system verification channel if you don't want to downgrade iOS for now. 5. There are some potential risks to downgrade iOS from iOS 12 to iOS 11, for example, iPhone won't turn on and etc. Since iOS 12 has not yet officially released (available on September 17, 2018), iOS 11.4.1 is still the latest and currently officially supported operating system. Downgrading from the iOS 12 beta is easier than downgrading the full public version, and you can always delete update on iPhone no matter you have an iTunes backup or not. Let's see how to make it. The best and safest way to have your iPhone get back to iOS 11 is using an archived iTunes backup. As mentioned above, you need to back up iPhone to iTunes and archived your backup file before upgrading to iOS 12, otherwise you can't restore your data after downgrading and all data or preferences you have saved on your iPhone will be lost after you updated to iOS 12. 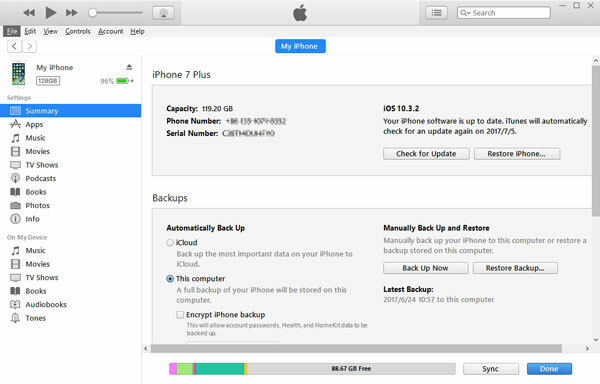 Let's see how to uninstall update on your iPhone no matter you have an available backup or not. Step 1. Download the IPSW file for your device and iOS 11.4 here. Step 2. Go to "Settings"> "iCloud" and turning off "Find My iPhone" feature on your device. Step 3. Launch the latest iTunes on your computer and connect your iPhone or iPad to computer with a USB cable. Step 4. Once iTunes detects your device, please click iPhone icon in iTunes and click "Summary" option. Step 5. Hold down the Shift key on your PC (or Option key on Mac) and click "Check for Updates" on iTunes. Step 6. 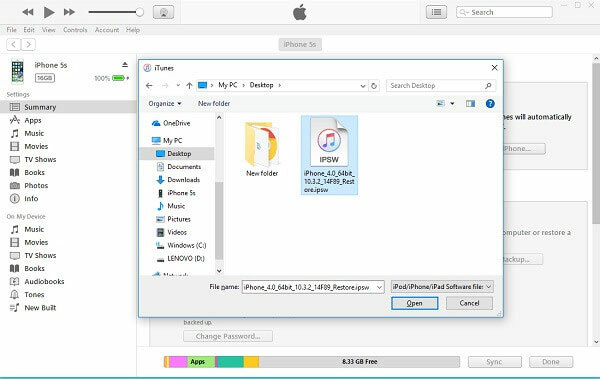 Go to the previously downloaded IPSW file and click "Open" option to install it on your iPhone. After installing the file, you will be downgraded to iOS 11 as you wish. Step 7. If you have an available iTunes backup, please click "Restore Backup" option and select a backup in iTunes. Make sure it's the correct backup of iOS 11. Please be noted that the latest backup may be a backup of iOS 12, instead of iOS 11's. Then simply wait till the whole restoring process is complete. Step 1. Launch iTunes on your computer and connect your device to computer with a USB cable. Make sure you have installed the latest iTunes on your computer. Step 2. Now, please put your device into Recovery Mode with the following instructions. 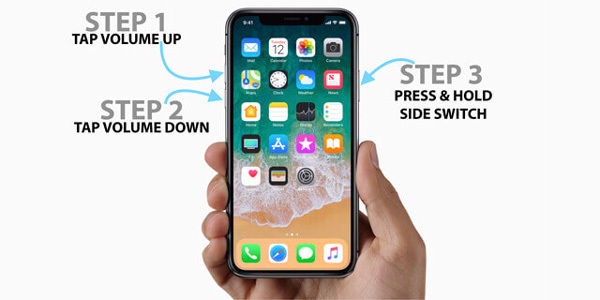 > On iPhone X/8/8 Plus or later, please press and release the Volume Up button quickly. Then continue to press and release the Volume Down button quickly. Finally, hold down the Side button until you see the Recovery Mode screen. > On iPhone 7/7 Plus, please press and hold the Sleep/Wake + Volume Down buttons simultaneously. Do not release either button when you see the Apple logo on screen. Keep holding down both buttons until the Recovery Mode screen shows up. > On iPhone 6s/6s Plus/6 Plus/6 or earlier, iPad or iPod touch, please press and hold the Sleep/Wake + Home buttons simultaneously. Do not release the button when you see the Apple logo on screen. Continue to hold down both buttons until the Recovery Mode screen appears. Step 3. Click the "Restore" button when it shows up, which will erase data on your device and install the current nonbeta version of iOS on your device, that is iOS 11. Wait for while till the restore process is complete. Step 4. If asked, please enter your Apple ID and password. This will disable Activation Lock on your device. The restore process won't finish? Step 5. 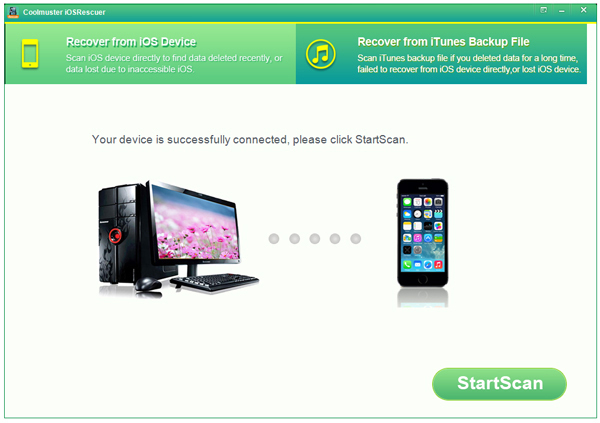 Once the restore process is complete, you might set up your device with your archived backup. And this will restore backup file to your device. What to do if you lose data after downgrading from iOS 12 beta to iOS 11? Even if you have backed up your phone data to iTunes and archived the backup before you upgrading to iOS 12 beta, you will always lose the data that you have backed up after you updated to iOS 12 beta. Also the iTunes backup for iOS 12 beta and iCloud backup won't restore to your device when you downgrade from iOS 12 to iOS 11. So does it mean that you will lose those data forever? Of course, No. Don't worry, this Coolmuster iOS Data Rescuer can helps you to easily recover data on iPhone, iPad or iPod touch no matter you have a backup or not. How to Fix iTunes and iPhone Errors?